Posted on 28/10/2014 at 01:43 PM. 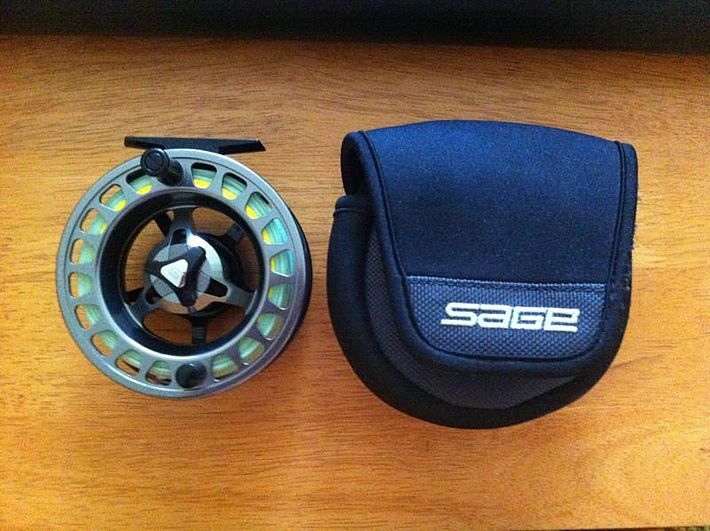 Sage 6080 Reel in as new condition, only kept as back up reel and may have been used twice at most. Black frame with platinum spool. Loaded with 50lb braid backing. Posted on 04/11/2014 at 12:17 PM. Posted on 04/11/2014 at 04:43 PM. Posted on 27/10/2015 at 11:12 AM. Is this fly reel of yours still available for sale and if so what's your best price please a year on.